Shielded Metal Arc Welding (SMAW) – Shielded Metal Arc Welding is also known as “SMAW” or as “stick welding.” The stick in question refers to the electrode, which is coated in a protectant flux. An electrode holder holds the “stick” in place and an electric arc is created using either direct or alternating current. This in turn causes the electrode to slowly melt away while also melting the metals to be joined. At the same time the flux coating releases a gas vapor which, together with the slag, creates a shielded environment to protect the weld area from contamination. Gas Metal Arc Welding (GMAW) – Gas Metal Arc Welding, also known as “GMAW” or “MIG welding” uses a consumable wire electrode that is fed through a welding gun. An inert shielding gas such as Argon or a mixture of Argon and Carbon Dioxide is also sprayed over the welding puddle to protect it from contamination. MIG welding has become the most common welding method in industrial settings because of its versatility and relative ease. However, it is not ideal for use outdoors or in other areas with high air volatility. 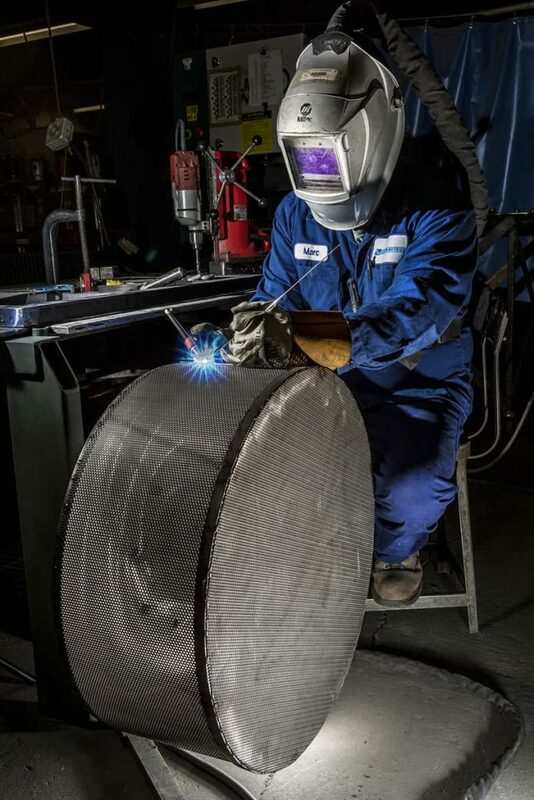 Flux-Cored Arc Welding (FCAW) – Flux-Cored Arc Welding, or “FCAW,” is very similar to MIG welding; however, it features the use of a special tubular wire that is filled with flux. The flux may be sufficient by itself to protect the welding puddle from contamination or a shielding gas may also be used, depending on the filler material and other circumstances.